Polysource > General News » PolyTrac Bog Mats – an afterthought. PolyTrac Bog Mats - an afterthought. I could see how it could possibly be made using a particular grade of recycled plastic – a definite tick for the environment. Without thinking, I agreed, and said I would send him an Australian made version in a few weeks. All I had to do was figure out where to source the right recycled plastic, find a moulder, pay for tooling and trials, test off tool samples and send a mat to his interstate office. 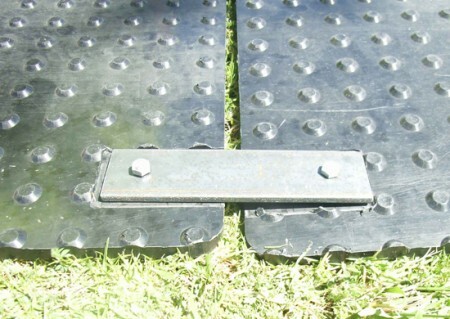 After a year of testing, PolyTrac Bog Mats were created, performing equally as well as the imported original. The only thing to hamper my great news to discover my ‘hopeful client’ was locked into an imported agreement and was only going through the motions. While I didn’t have a client, I did have an Aussie made bog mat, ready to be sold and PolyTrac took off almost immediately. Within the first year, contractors had heard of a ground protection solution and the PolyTrac story travelled quickly. Enquiries came in from nearly every Australian state, which converted to sales at a rate of about 50%. Such a high rate was uncommon. PolyTac was a new Aussie product that acted as competition for the imports, and this got people talking – we’re all a stickler for a good underdog story. Soon PolyTrac was being used for applications initially unintended, and while it is natural to question a products performance, this gave us the opportunity to further improve its properties. 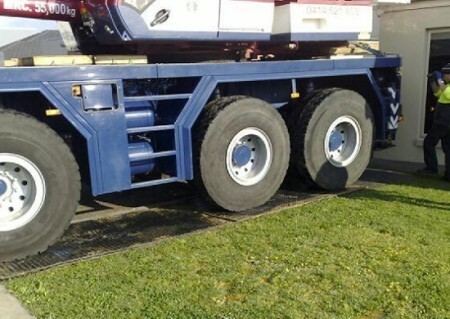 Undergoing a second transformation, PolyTrac became stronger and much more versatile, meaning we could increase the vehicle weight capacity, expected lifespan, useful applications and entire mat range. The best part of the PolyTrac story are the benefits gained by the contractors, environment and Australian manufacturing industry. With PolyTrac, we hope to continue this trend with ongoing improvements.